Chile’s status as one of the finest wine producers in the world is deserved. The country boasts a winemaking tradition stretching over 450 years, when Spanish conquistadors first introduced vitis vinifera in the land. The territory’s natural barriers (the Andes mountains and the Pacific Ocean) have kept it protected from Phylloxera, a devastating pest that blighted much of Europe’s vines in the mid-19th century. It was during that period that commercial production took off in the country, although it wasn’t until 100 years later that production and export levels gained real impetus. Improved technology and an aggressive marketing approach have since contributed to develop the country’s immense potential, whilst making of Chilean wine a household name the world over. 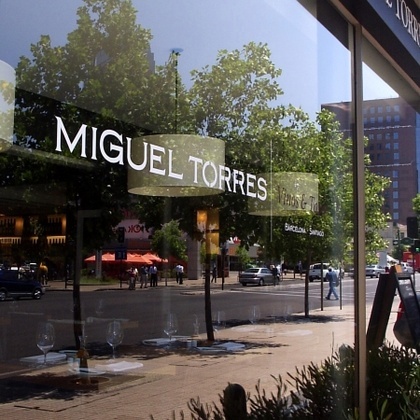 Blessed with some of the most perfect climate conditions in the Southern Hemisphere, the terroirs around Santiago constitute the backbone of the country’s wine industry. The areas south and west of the capital are classified in accordance to appellation/ quality control regulations (Denominación de Origen /D.O.) with sub-regions like the Valleys of Maipo, Colchagua, Casablanca and Leyda yielding the country’s premium produce. The first of these areas stretches along the eastern half of the Maipo river and lies only steps away from the capital’s outskirts. The Maipo Valley is responsible for some instantly recognisable names like Casillero del Diablo and Cousiño Macul and sports great climate conditions, with little annual rainfall and a massive temperature fluctuation courtesy of night-time Andean winds. This phenomenon favours a slow ripening of the grapes, which are commonly of the Cabernet Sauvignon and Merlot variety. For its part, Colchagua Valley (located some 120 km south of Santiago) shot to oenological stardom in the 1990s after winemakers such as Marnier-Lapostolle and Lafite-Rothschild established some of the New World’s most glamorous wineries. Often dubbed as Chile’s very own ‘Pomerol’, Colchagua Valley is more noticeably influenced by sea winds than Maipo, making it an all but frost-proof region. The idiosyncratic Carmènere variety really comes into its own in Colchagua, while others like Syrah and Malbec are going from strength to strength. West of Santiago, the Valleys of Casablanca and Leyda are clearly conditioned by the proximity of the Pacific Ocean and are both endowed with cool climates that are particularly apt for white varieties, although the local Pinot Noir is fast becoming legendary. Chile’s positioning in the global market means that finding a bottle that’s not already available back home can be a bit of a challenge. Furthermore, you’re unlikely to strike phenomenal bargains if you’re hunting for truly outstanding cuvée. That said, there are a few hard-to-get gems that will please the folks back home. A few tips: head straight for a specialist wine shop if what you want is quality, variety and dedicated, knowledgeable staff. If you don’t consider youself an expert in Chilean wine, it’d be wise to look for the ‘Denominación de Origen/ D.O.’ labels – if producers don’t care about certification, as a rule, they don’t care much about quality. 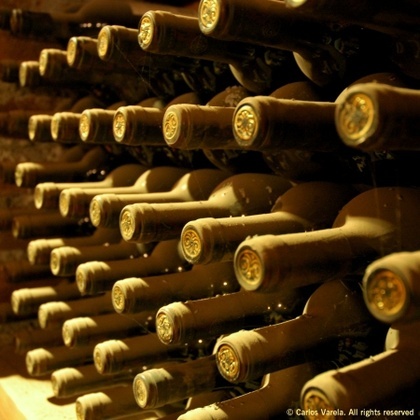 Below is a list of wines to watch out for when looking for valuable additions to your cellar. Headlining the past few years was the Lafite-Rothschild and Concha y Toro joint venture, Almaviva, the country’s most talked-about red. The blend of Cabernet Sauvignon, Carmènere and a soupçon of Cabernet Franc from the Maipo Alto delivers blackcurrants, plums and eucalyptus in voluptuous tannins. Other producers like Colchagua’s Viu Manent have given momentum to grapes like Malbec in their award-winning Viu 1, which cleverly assembles these deep-violet grapes with balancing touches of Cabernet Sauvignon. The result is a ripe and sultry explosion of cherry, violets and cassis, with plenty of attitude and character. Meanwhile, heavyweights Marnier-Lapostolle have put a commendable effort into their premium winery of Casa Lapostolle Clos Apalta in Colchagua, and the resulting blend of Carmènere/Merlot and Cabernet Sauvignon is a coveted little jewel of classic velvet and dark chocolate combined with exotic dates. Catalan masters Torres have raised the stakes with products like Miguel Torres Cordillera, a skilful blend of Mazuelo/Carignan, Syrah and a small quantity of Merlot that exhibits herbs, liquorice and tobacco. Finally, it’s worth mentioning Quelén, from independent producer Viña Pérez Cruz; an audacious yet crafty assemblage of Petit Verdot and Carmènere, whose lush fragrance and soft tannins are likely to attract increasing local interest to the blend. But it’s not all assemblage in the horizon, and the international connoisseurs’ love affair with Chilean red varietals shows no signs of weakening. A great example of Cabernet Sauvignon, is Le Dix de Los Vascos, the signature Lafite-Rothschild wine from their Colchagua Estate. This is a robust grand cru of exceptional elegance, delightfully evocative of figs and plums. For a fraction of the price, mind you, their own multi-award winning Grande Reserve offers an equally pleasurable, opulent Cabernet with raspberry and cinnamon tones. When it comes to Merlot, it’s hard to beat the outstanding Casa Lapostolle Cuvée Alexandre, although a ruby-coloured Santa Ema Reserve offers what is quite likely the country’s best-value Merlot. As for Syrah varietals, the tenacious Viña Montes have gone extreme lengths (at a painfully low yield) to grow this variety on the high slopes of their Colchagua estate. The result is the leathery and herbal Montes Folly – Chile’s best Syrah, by a mile. The country’s trademark grape is of course, Carmènere, a grape long mistaken for Merlot until it was identified as a variety wiped out from European soils in the 19th century. Although a relatively new trend, Carmènere has already got a considerable fanbase, and wines such as Concha y Toro Carmín de Peumo (whose 2003 Vintage became the first Carmènere ever to be awarded 97 points by Robert Parker) will only do more to expand the grape’s popularity. Whilst New World Pinot Noir has long been championed by Australia and California, the Viña Cono Sur’s superb Ocio, with its gamey and red berry bouquet, is quite likely to cause concern across the pacific. Demand for Chilean Whites has been rising at the same time that winemakers have been discovering new regions like Leyda Valley (D.O. Aconcagua Valley), now a hotbed for Sauvignon Blanc and Chardonnay. Producers such as Viña Garcés Silva should take much credit for the rise of interest in the former, with great cuvée like Amayna, a crisply textured, barrel-fermented Sauvignon. As for the latter type, the Viña Leyda make their critically-acclaimed Lot 5 Chardonnay in these fertile, fog-shrowded lands. In the meantime, Cachapoal Valley (south of Santiago) has provided inspiration for audacious winemakers to try white assemblages, and Anakena have successfully pioneered a blend of Viognier, Riesling and Chardonnay, in their Ona premium range. Meanwhile, a sultry combination of Chardonnay, Sauvignon Gris and Viognier has put Casa Silva’s Quinta Generación at the forefront of stylish Chilean whites, with a lemon-zesty.